At a meeting of NATO-Ukraine Commission on June 15, defence ministers of member countries of the alliance are planned to discuss the allocation of additional assistance to Ukraine. "On Wednesday we will meet with the Minister of Defense of Ukraine [Stepan Poltorak] at a meeting of Ukraine-NATO commission," NATO Secretary General Jens Stoltenberg said on 13 June as quoted by RBC-Ukraine. Stoltenberg said NATO is concerned about the security situation and the violation of the ceasefire in the east of Ukraine. 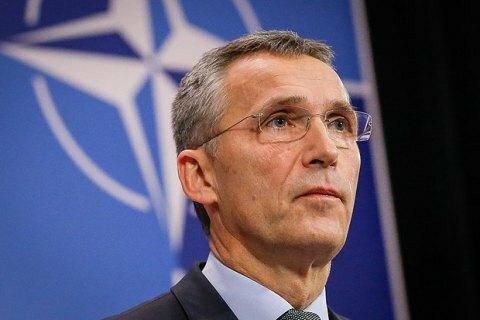 He stressed that a stable environment of NATO countries contributes to the security of the Alliance, "We will also discuss the progress of Ukrainian reforms and the support provided by NATO," Stoltenberg added. NATO will agree this week on the deployment of four international battalions in the Baltic States and Poland. The Alliance said the additional military power is sent to Eastern Europe in response to Russia's actions in Ukraine and in the Baltic Sea region.